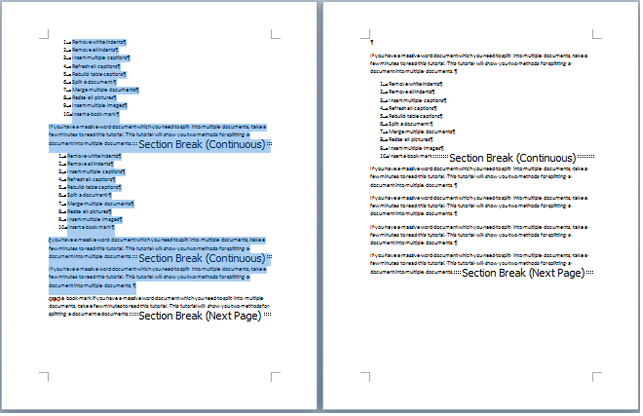 When inserting different headers and footers, or setting different page orientations for a long document, section break is powerful to realize them. However, there is no easy way to delete all sections breaks in Word except manually deleting section break symbols one by one. 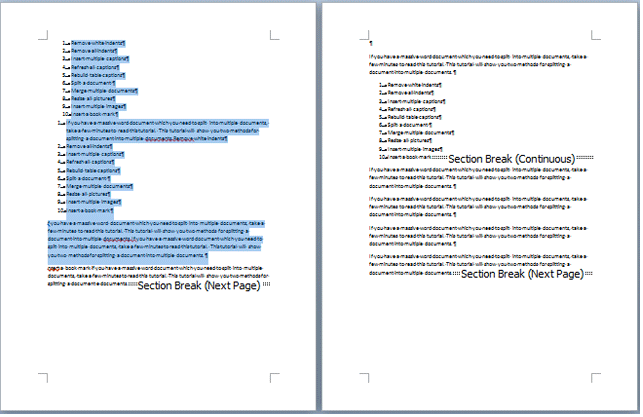 The Kutools for Word's Remove Section Breaks utility will help you remove all section breaks from the whole document or a part of document at once. Supposing you would like to remove all section breaks from the whole document, please apply the utility by clicking Kutools > Breaks > Remove Section Breaks. 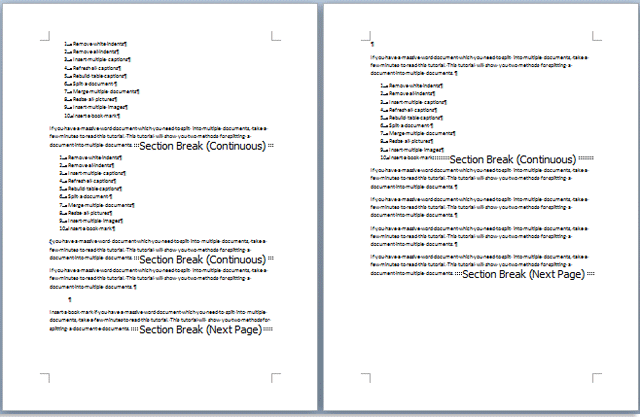 You can remove all section breaks from the whole document. If you want to remove all section breaks from a part of document, please select a part of the document first, and then applying the utility by clicking Kutools > Breaks > Remove Section Breaks. 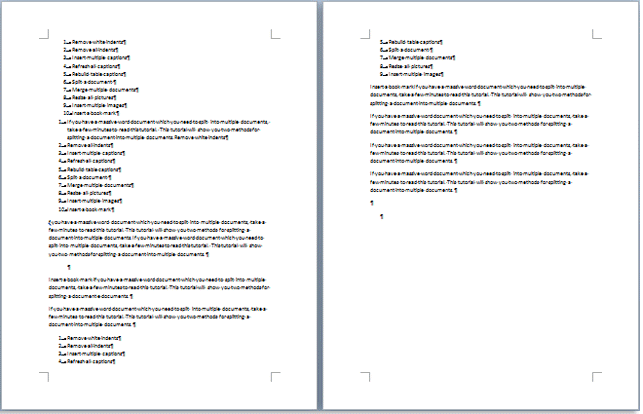 All section breaks in the part of document will be removed. Note: After clicking the Remove Section Breaks option, all kinds of section breaks will be removed together quickly, including section breaks (next page), section breaks (continuous), section breaks (even page), and section breaks (odd page).